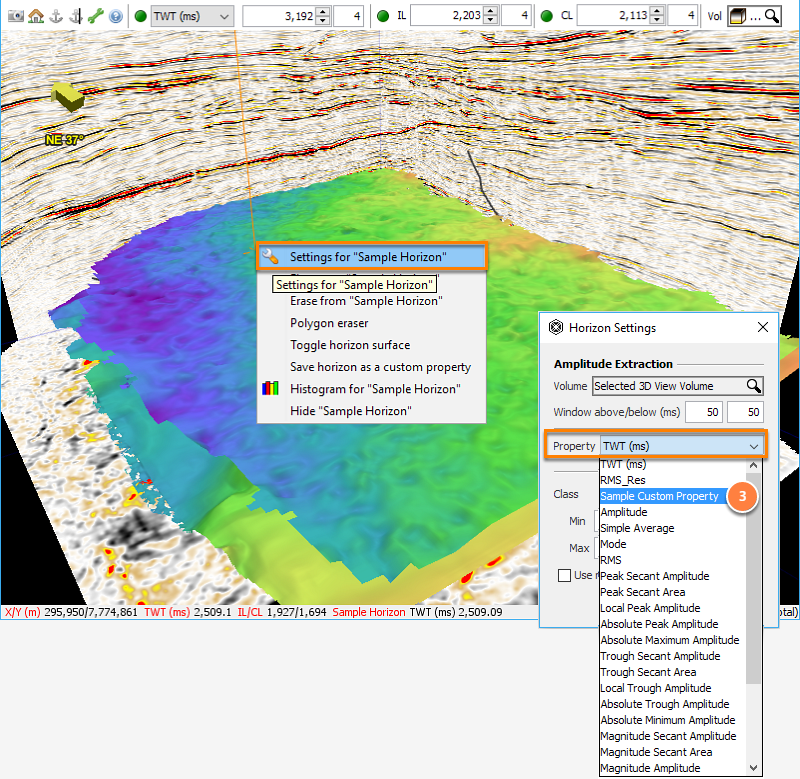 Custom properties display very quickly and can be used as inputs for other operations. Use custom properties to store the results of on-the-fly (and other) operations. Go to Control Panel > View > Map view. Choose a horizon from the Horizon search box. Select the custom property from the Property dropbox. Go to Control Panel > View > 3D view. Right-click on a horizon and select "Settings for...". 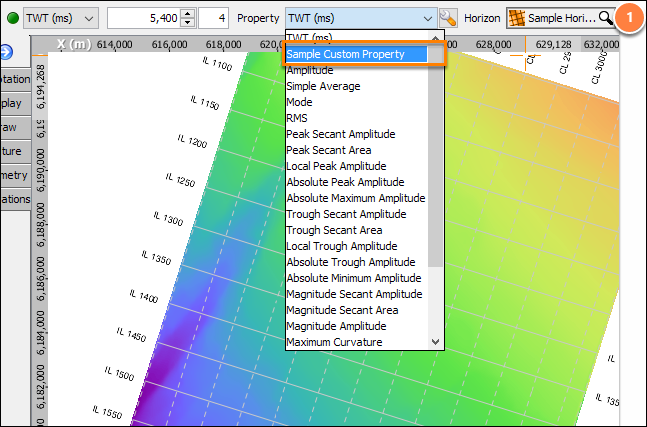 In the Horizon Settings window, select the custom property from the Property drop-down list. In the Horizon tab, select the horizon. Select the custom property from the Histogram drop-down list and click Create. A new histogram using values of the custom property will appear (see Displaying Horizon Histogram). In the Map view, click the Operations tab. 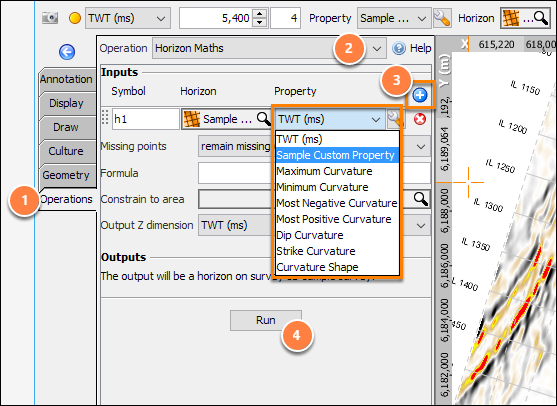 Select Horizon Maths in the Operations drop-down list (see Horizon Maths). Click the round blue "+" button and select the custom property from the Property drop-down list. 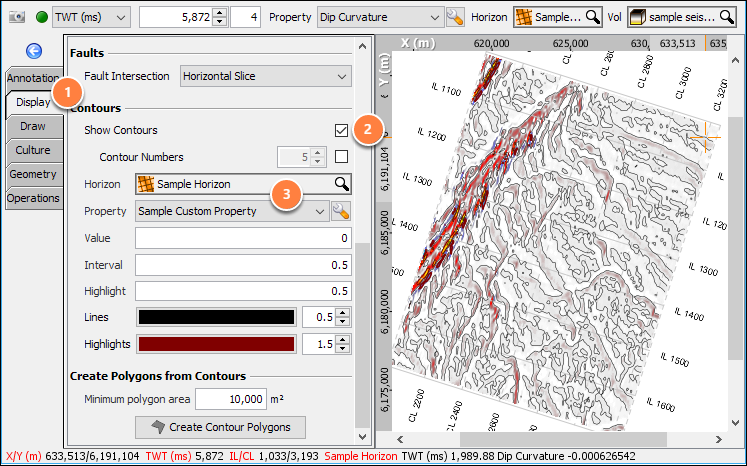 Scroll down to the Contours section and click the Show Contours checkbox (see Contouring Map View). 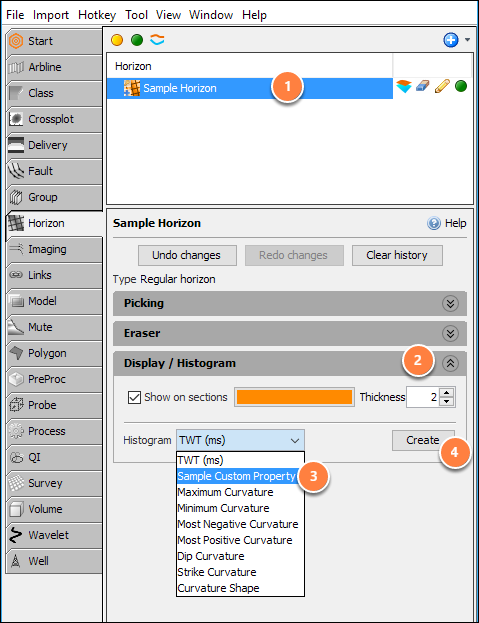 Select the horizon from the Horizon drop-down list and the property to use.